The Inverness hotel is a good representation of JMA's problem solving prowess. 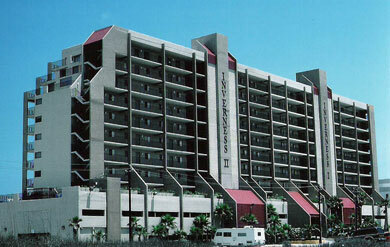 The hotel was to be built on a sandy site that was frequently hit by hurricanes. The solution proposed by John Martin was to build the hotel on piers, the first two stories of which would act as a parking garage with blowout walls to protect against severe hurricanes.